An award winning design featured in a design magazine and in various online articles helps drive ticket sales to an event that gives beer drinkers an experience they will remember year after year. 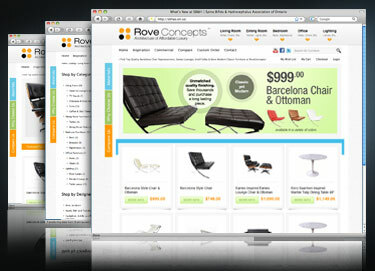 Rove Concepts was built from the ground up. Desiring a robust Content Management System (CMS), we recommended Drupal along with a variety of unique custom modules. They now run a very successful e-commerce furniture store that has seen an unexpected surge in sales. An e-commerce website requiring a fully integrated shopping cart and payment gateway. 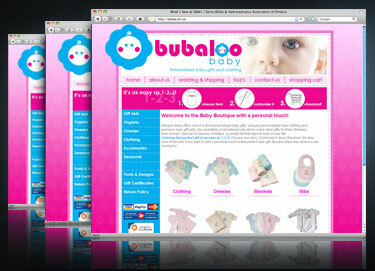 Intrigue developed and marketed Bubaloo Baby to be a successful Canadian Business. 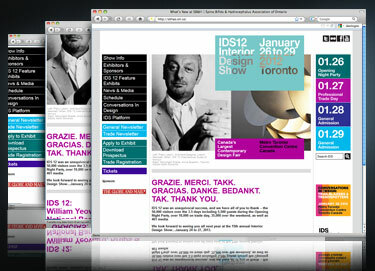 Requiring a new look and feel for this year's event we were challenged to create a revamped website that allows IDS staff to keep content up-to-date, allows exhibitors to connect and login for details, and includes an integrated, seamless, third partied blog system. The project was completed on budget, on time, and has solicited rave reviews! Desiring a design rich with visuals and a powerful/secure way to maintain the design integrity long after delivery, our team was able to exceed expectations in both our process and final product. We take pride in every project. 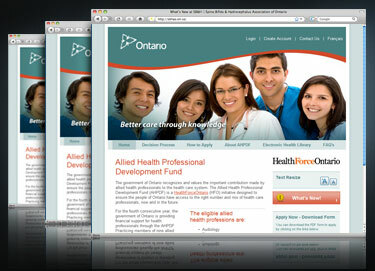 AHPDF is government organization who was looking for a very clean website but was under strict design restrictions. 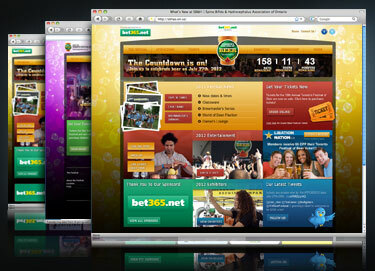 We proudly delivered a beautiful site design while including Drupal as the backend Content Management System. Talented experienced artists standing in the forefront of graphic design are waiting for your challenges to impress. Working with Non-Profits building donation systems and entire fundraising communities are both niche's Intrigue has become the primary standard. Our experienced web application development teams work together to build upon your project vision to make it an enjoyable journey to success. Have an idea? At Intrigue, we love ideas and really love turning those ideas into working realities. If you have a vision of what can enhance your company or organization, our experienced team can get the job done right. We have helped many organizations, like your own, take a vision and make it an efficient, functioning and user-friendly web experience. Intrigue offers state of the art web site design and custom web development services. Whether it's a simple web site design or a complex custom development project we have the experience and ingenuity to get your project completed properly. We make the development experience fun while delivering a final product on schedule and within budget. Whether you’re a large or small business, corporation, or non-profit organization; our innovative team will help you meet your objectives in a competitive Internet marketplace. Our recent project has us starting an 0xBitcoin mining pool. The goal is fast hashing with a US and Canada focus on reliability for East and West coast miners. 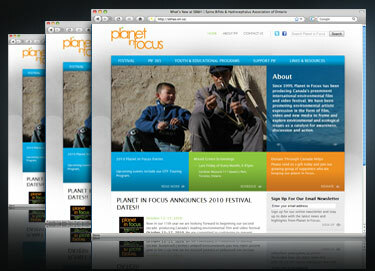 The template and site design looks great! I'm so pleased. Thanks for taking the initiative on this Intrigue. I want to thank you and congratulate you on the design of our website – it was launched last week! The feedback has been extremely positive. The visual design has really captured the heart of who we are. And along with Intrigue’s technological design, the site is everything we had hoped for. We are very pleased with our new site. It is attractive and effective. Your team has done a great job in creating exactly what we explained. We enjoyed doing business with your savvy team and loved the ease of communication. Intrigue is proud to provide pro bono services to ALS Forums, Lyme Forums and Fibromyalgia Forum.